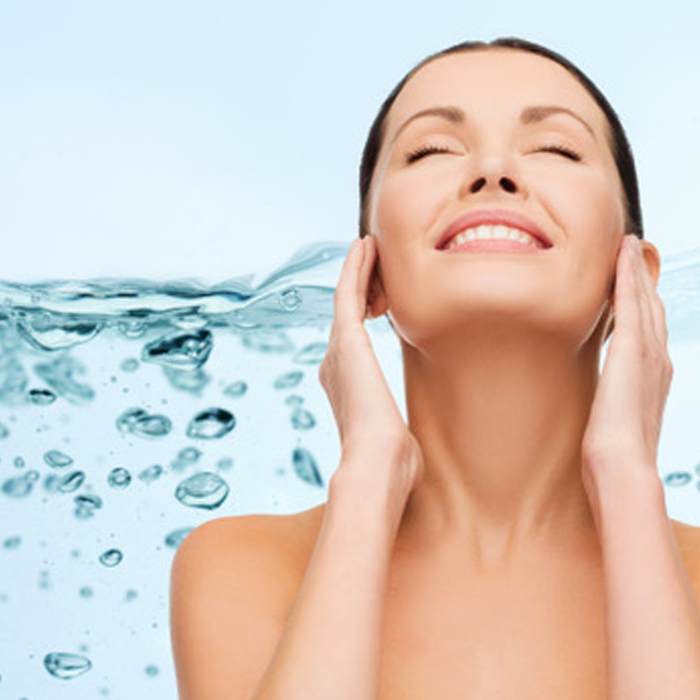 A deep cleansing and hydrating procedure for all skin types, the HydraFacial MD® Treatment is not only highly effective at improving overall skin health, but also excellent for addressing fine lines and wrinkles, elasticity and firmness, skin vibrancy and texture, age spots, oily/congested skin, enlarged pores and blackheads and signs of aging. The unique Vortex-Fusion Serum delivery system sets the HydraFacial MD apart from other procedures such as Microdermabrasion, which often causes irritation to the skin. The multi-step treatment deep cleans, exfoliates and extracts impurities and dead skin cells while at the same time replenishing your skin with vital nutrients, antioxidants, peptides and Hyaluronic acid to keep skin plumped and glowing. Thanks to the Hydrafacial MD’s superior delivery system, these powerhouse ingredients are able to more effectively penetrate deeper into the skin to reduce the appearance of fine lines and wrinkles, minimize pore size and brighten pigmentation spots, not to mention superior blackhead removal. 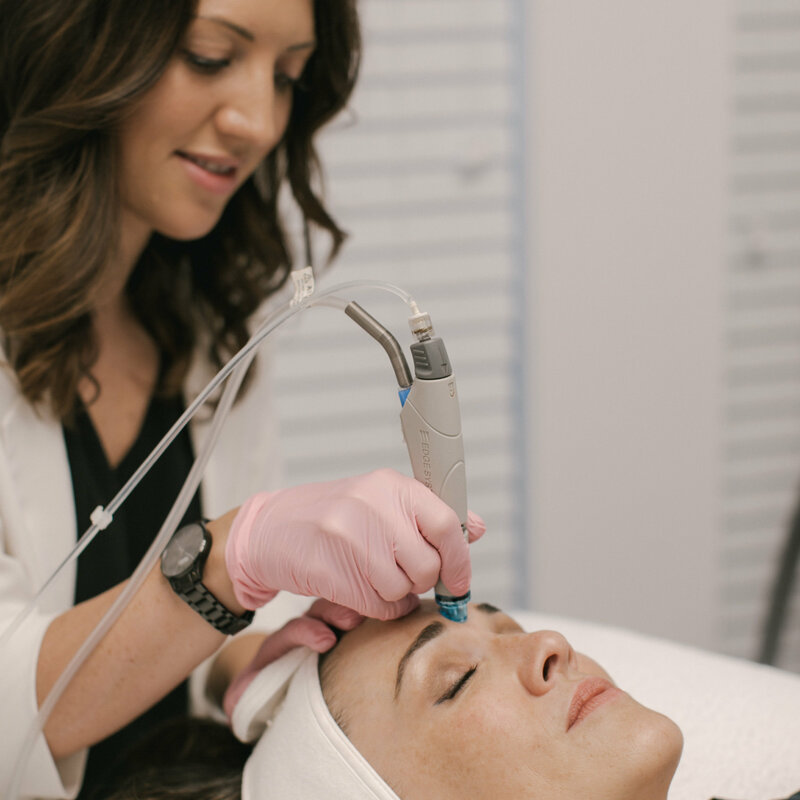 The customizable Hydrafacial Fusion treatment is tailored to effectively address your individual skin concerns with no downtime, irritation or redness. INTRODUCING: NEW Clarifying HydraFacial – Addressing acne-prone or blemished skin, includes extended extractions of impurities – blackheads/ whiteheads, along with Our Vitamin A Infusion plus the HydraFacial MD protocol, makes for the most effective deep-pore cleanings and pore refining facial treatment to clear up problematic skin. This clarifying facial treats active acne and targets congestion, controls oil and includes LED Light Therapy to kill acne bacteria, reduce inflammation and supports skin health. An essential facial for those whose goals are to have consistently clear, balanced and radiant skin.